Scouting Report: Vol. 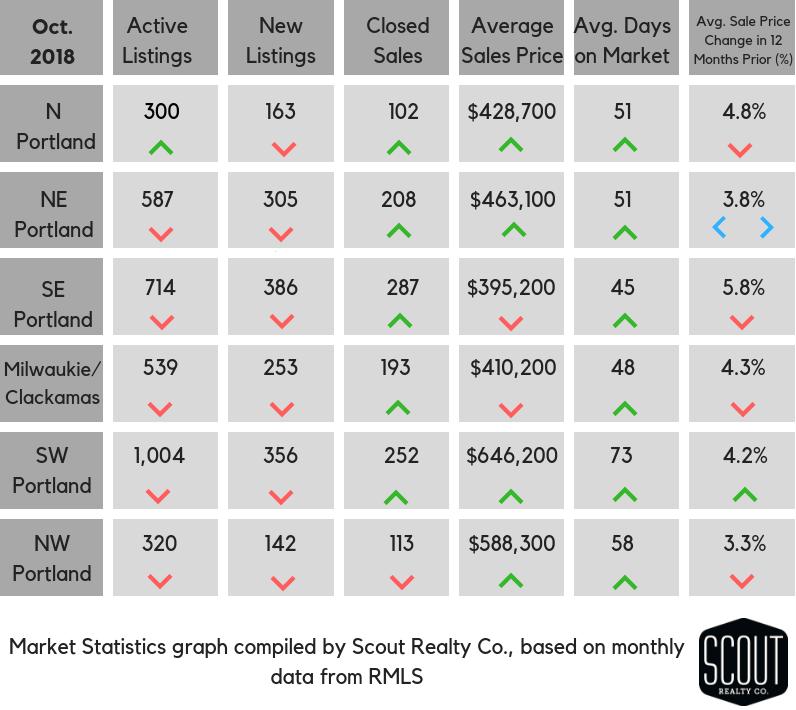 4, Issue 9 - Scout Realty Co.
Winter is almost here and although we expect to see cooling trends in the weather and the real estate market, Portland has been full of surprises with regards to both! Despite feeling things slow down a bit in September, our region just experienced the hottest October for new listings since way back in 2010! We’ll see what that means for overall market stats as we approach the new year. We have been feeling the slow down for a few months now and total market time has been inching up, but our takeaway is that the end of the real estate season is not here quite yet. And though listings may be sitting longer, home values are still rising! So whether buying or selling, if you have some patience, 2018 could still be your year. Average sale price in the metro area for 2018 through October was $453,600, a 5.6% increase from this time last year. Rates have decreased to 4.875% for a 30-year, fixed, conventional with excellent credit.